I think I have found a pink polish that I'm completely in love with, and I'm not much of a pink girl! This is Sinful Colors Island Coral that I purchased at Walgreens for $1.99. 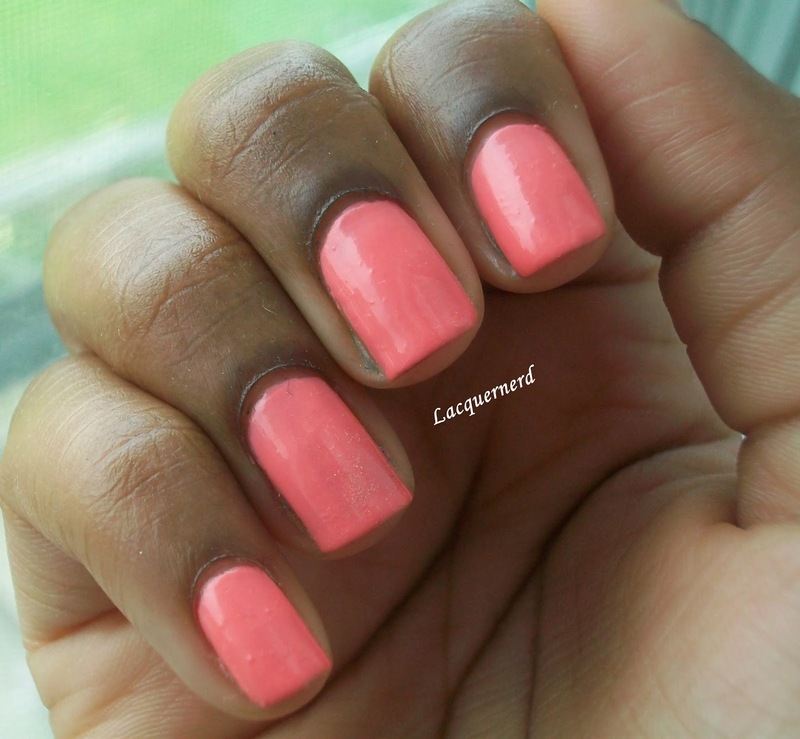 Island Coral is a bright coral pink. It's a vibrant color and a perfect polish for the summer! I used two coats of polish and no top coat for this. The application and formula was pretty good, especially having a nice glossy finish without using a top coat. All in all, I'm loving this polish! What do you think of Island Coral? Are you going to be picking up this shade for the summer, or do you have another summer favorite? I would recommend buying it. It is so pretty ^^.